An Irish businessman who is serving a jail sentence in Switzerland after being convicted of embezzlement, remains under investigation here by the Office of the Director of Corporate Enforcement (ODCE). One-time Entrepreneur of the Year Peter Conlon pleaded guilty at a court in Zurich last week to the misappropriation of €3.8m by Ammado, which had developed a system to allow people to donate to charities. Conlon was convicted under a so-called abridged court procedure on multiple counts of embezzlement and sentenced to three years' imprisonment, with two of those conditionally deferred. But as he had been held in custody since his arrest at Zurich airport on December 22 last year, he is due for release shortly before Christmas. The ruling in Zurich also makes him liable for the costs of the investigation there and the costs of legal proceedings including his defence. To part cover those costs Swiss authorities confiscated CHF3,197 (€2,800) from a Swiss bank account and CHF53,318 by cashing in a Zurich Life Insurance policy. The separate ODCE investigation is looking at the same issues. It was set up here as a result of a complaint by a liquidator who had been appointed last January by the Revenue Commissioners to Ammado's main Irish company, Pembroke Dynamic Internet Services, over a €400,000 debt. Liquidator Myles Kirby, of Kirby Healy chartered accountants, discovered that at least €3.8m intended for charities had not been passed on to them. He accused Conlon in the High Court of reckless trading, fraudulent trading and misfeasance in running the company. The High Court granted a freezing order, preventing Conlon, or anyone linked to him, moving or selling his assets anywhere in the world. At least 800 charities were contacted and told money donated to them through Conlon's company website might be missing. The Irish charities ranged from Trócaire and Concern to parish-level GAA clubs and local animal shelters. In his affidavit to the High Court, Mr Kirby said the website took in donations of €5.8m between March 2016 and September 2017 and took in another €396,000 from December 12, 2017 to January 12, 2018. Rossa Fanning, SC, for the liquidator, said that in the previous week Mr Kirby had discovered there was a €3.8m deficit in funds that ought to have been remitted to the charities. The court was told there was only €357,000 in the company's bank account. Mr Kirby also said he believed Conlon had "demonstrated his intention to dispose of assets and put them beyond my reach". An investigation was launched by officers from the ODCE, whose staff include officers seconded from the Garda national economic crime bureau. A spokesman for the ODCE last night declined to comment on the current status of the investigation. 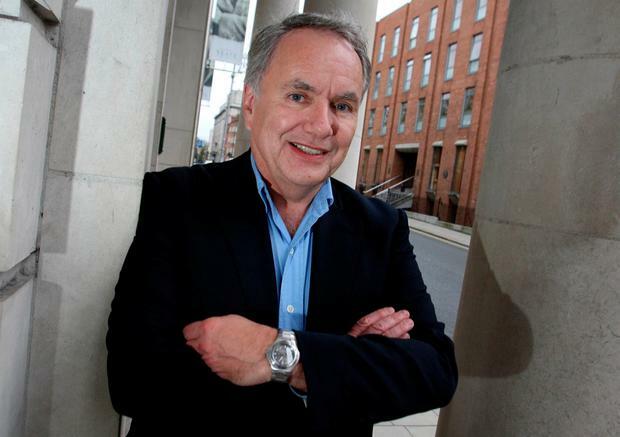 Conlon, who was a winner of the EY entrepreneur of the year award in 2004, moved from Dublin to Switzerland in 2012.